When people hear the word “bot,” it almost immediately conjures up negative imagery of some of the worst that the internet has to offer. Anonymous accounts trolling through Twitter, “retweeting” and “favoriting” as part of a (paid) organized campaign, or mindless customer-service drones, ostensibly helping you out as you sign up for one service or another (but failing miserably), are two common scenarios that come to mind. What if you were to learn, however, that companies were seeking to shed this oft-maligned portrayal, morphing chatbots into a useful–and welcome–tool? 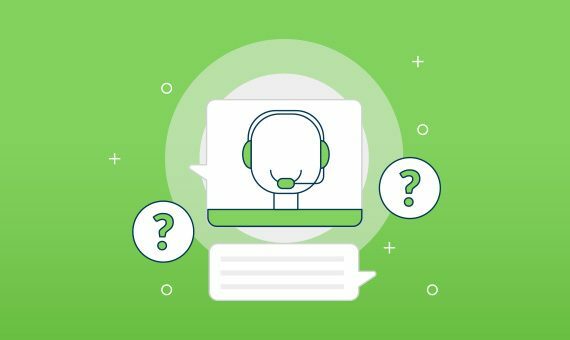 Nearly 50 percent of consumers prefer handling business through chat functions, if they work correctly, and that number might grow larger as technology becomes more sophisticated. If you were tasked with improving bots to cater to customer needs, what would you change? More often than not, people are tempted to cite personality as a trait that needs work. After all, who wants to talk to a dry, matter-of-fact machine? As it turns out, a majority of consumers don’t have an issue with a bot being bare-bones with its presentation, as long as it comes across as mostly natural and (more importantly) helps them solve their problems. More than anything else, people want chatbots that are able to interpret their queries clearly and respond with concise information that answers their questions. They still want the “human touch,” a modicum of conversational ability that makes them feel comfortable, but more than that, utility is key. Furthermore, experts have found that a customer’s willingness to use chatbot features increases when the bot is unobtrusive and the human has to initiate the interaction. That’s why you may have seen a shift in some bots you’ve interacted with. Companies strive to make bots more functional by training them to understand/respond more accurately, putting them out of the way so that they aren’t annoying (no more popups), and improving their speed so that customers can get what they need swiftly. You’ve probably seen chatbots used on retail sites or when you’re trying to sign up with an internet provider. These aren’t the only players in the game, however. Increasingly, chatbots powered by artificial intelligence are finding their way into the financial sector, electric vehicles, and other businesses where just years ago it was assumed they would have no use. It’s still early for chatbots in these fields, but they seem to be well on their way to improving customer engagement. Additionally, businesses are planning a wide array of future uses for this evolving tool. Imagine a world in which you can go to your banking site, open a chat app, then converse with a bot about strategies to manage your money or grow your accounts, or a local business where you can talk to a bot to check the store’s inventory, reserve some goods, or schedule a delivery? Advancements in AI technology are bringing this type of functionality to a broader range of businesses, and many are lining up to leverage this technology to better serve their customers. Bots, it seems, are here to stay. A substantial majority of customers expect to interact with a bot during their online experience; nearly 69 percent say they’ve interacted with a bot or virtual intelligence within the past month. Realizing the potential, more and more businesses are attempting to adapt the technology to suit their interests, which will only increase the proliferation and sophistication of this tool into the future. In order to truly take off, bots will need to adapt to the needs of the consumer, which means they must become faster, more engaging, and above all else, more capable than they’ve ever been before.